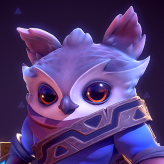 For my 2nd entry, I'm gonna try to do something simple but cute. 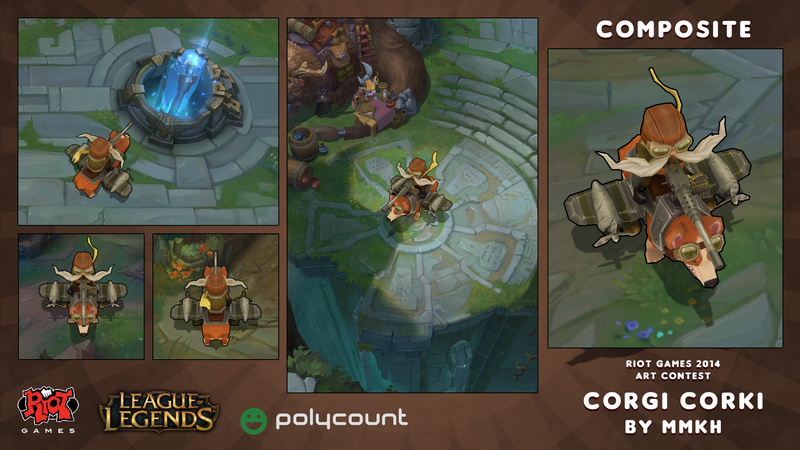 I am aware that this skin idea has been thought of before, but I want to attempt to bring this to life. 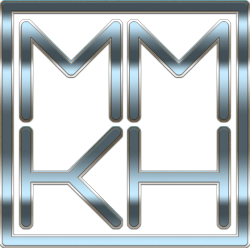 This one will just be some practice for something I can add to my portfolio. 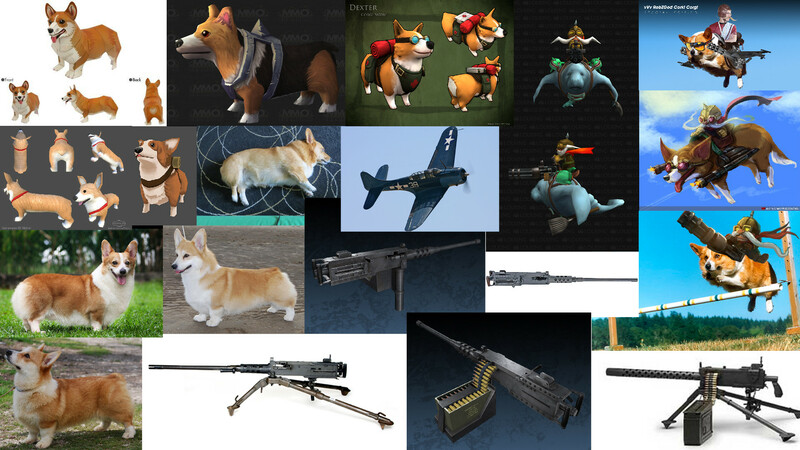 I will create a different concept and model from scratch than the art shown above, they are simply there for inspiration. I am thinking of adding some wing attachments (toy?) 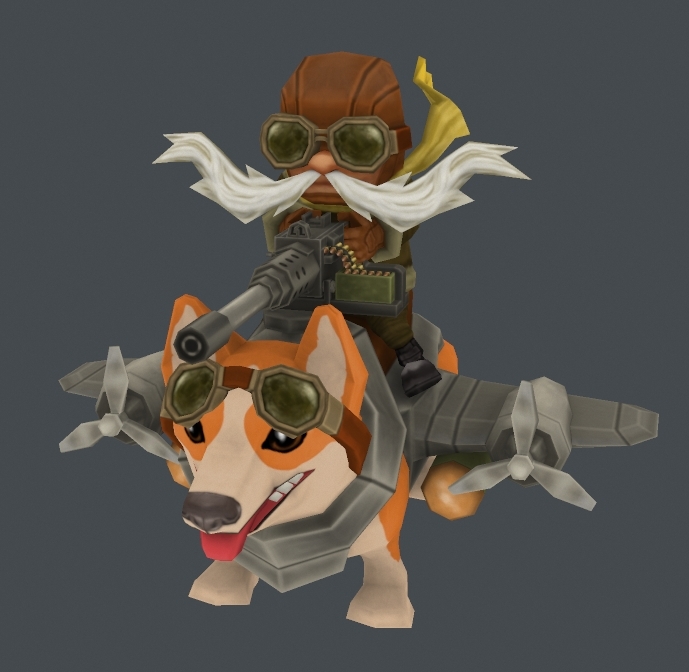 based on a WWII plane to the sides of the dog, and have a mounted machine gun on a tripod or similar in the middle behind the head of the dog, as to be consistent with the existing skins such as the Urf Rider Corki. Some missiles will be placed under the wings too. 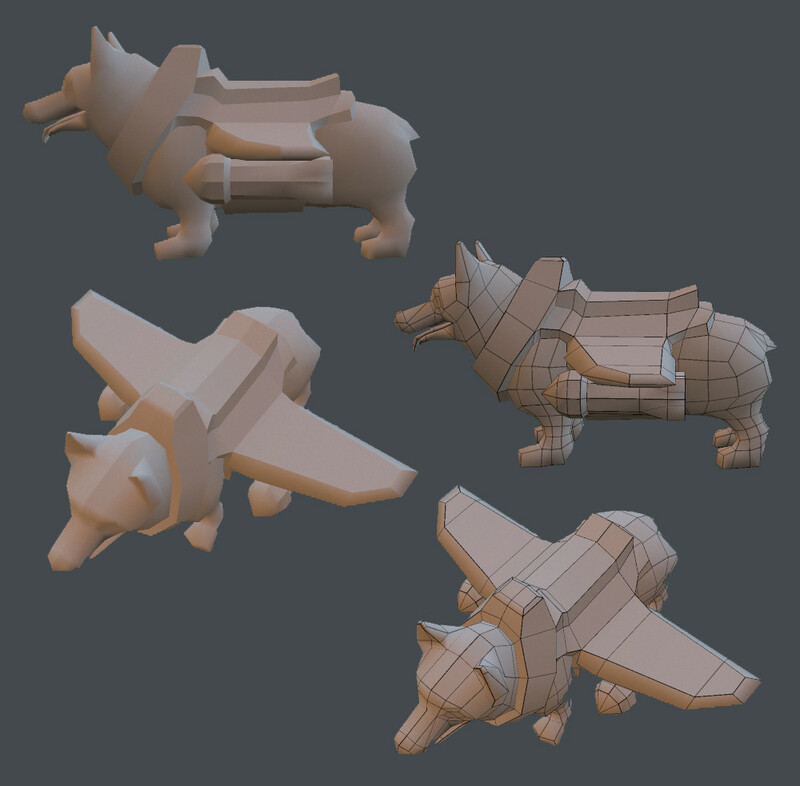 So far I have managed to model the corgi which is currently at 1062 polygons. Fun! Can't wait to see this setup. 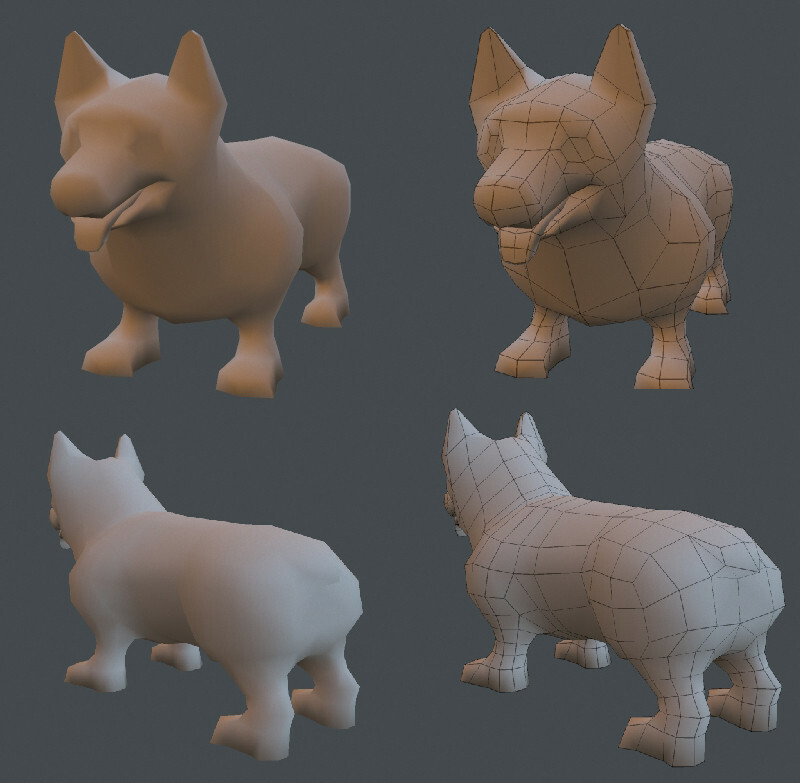 I would check your corgi's feet though -- your top left reference has them built out a bit flat, which is happening on your model. This page does a good job of illustrating/explaining how you want to construct those. 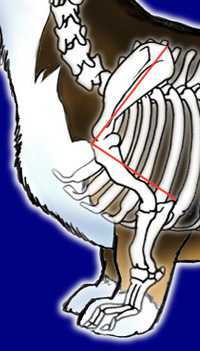 Also check your shoulders, they're getting a bit bulky, and should be situated forward. Another reference for that. Go go go! Thanks for the comments haZe. I've made some adjustments to his legs and added a rough suit and wings. 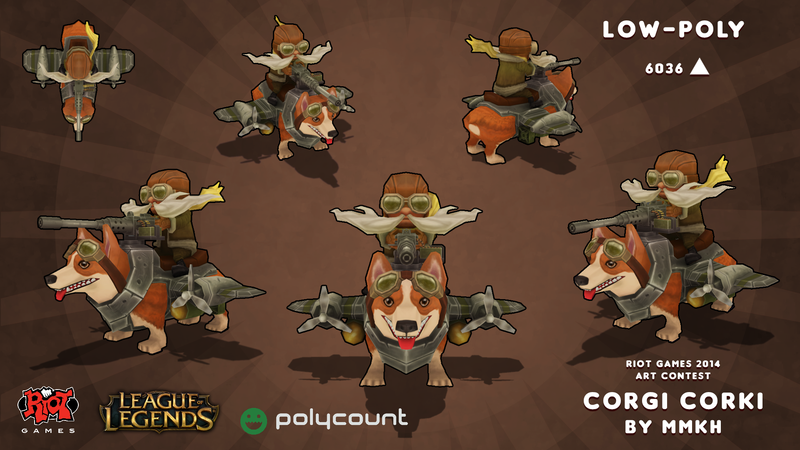 I think I will have slightly larger wings than short in order to keep the overall size about the same as the other Corki skins, but not too big if they take focus away from the dog itself. Update: Added some concepts. 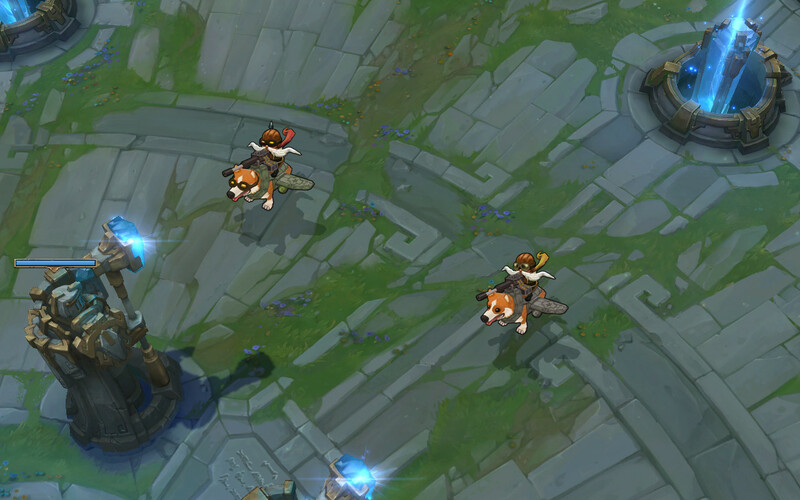 I think I may go with the 2nd one with aviator glasses as they look more interesting than a default-like goggle design. 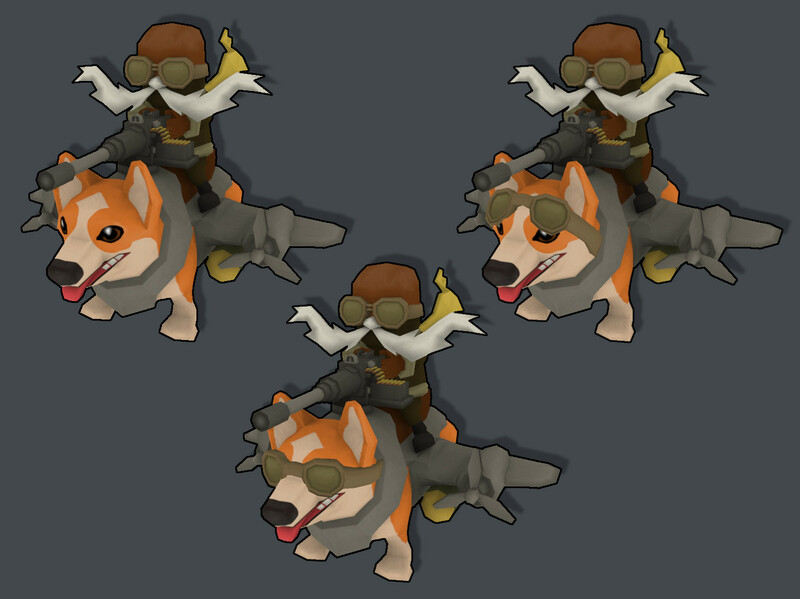 Update: Modeled and UV mapped the outfitted corgi. 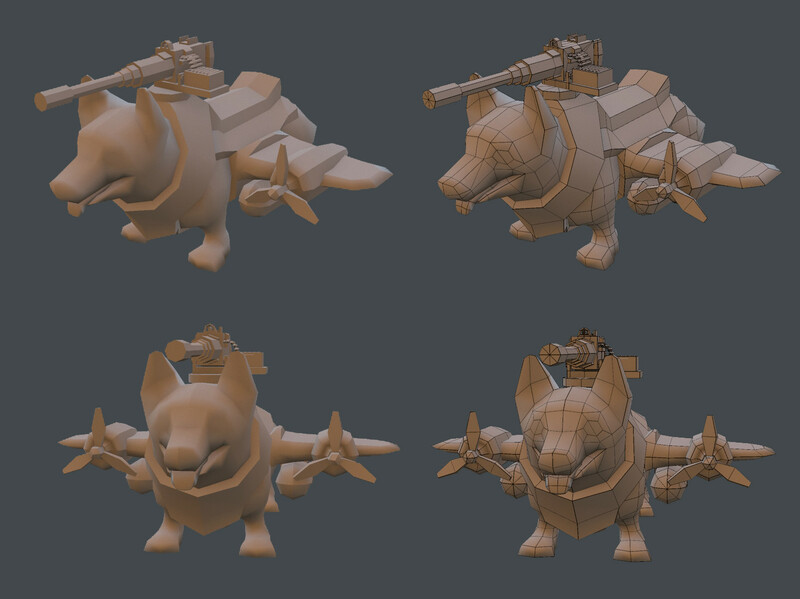 Added some propellers to get more of a "bomber" style and make it look like he can fly. 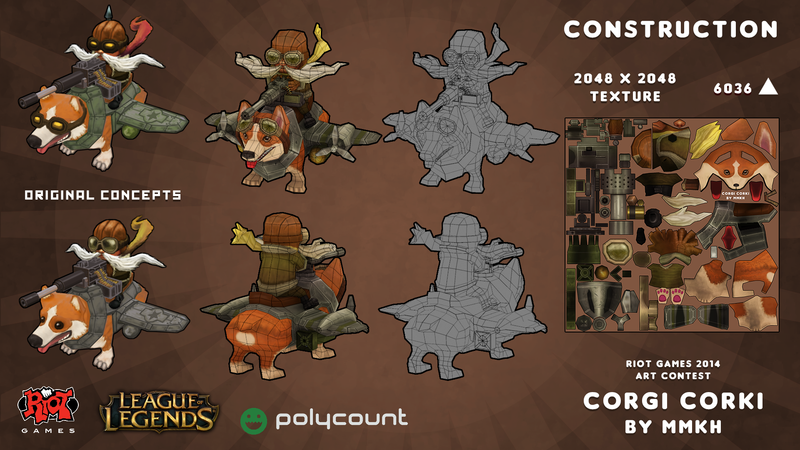 All of this is about 3.1k triangles. Update: Some rough colour block-in. 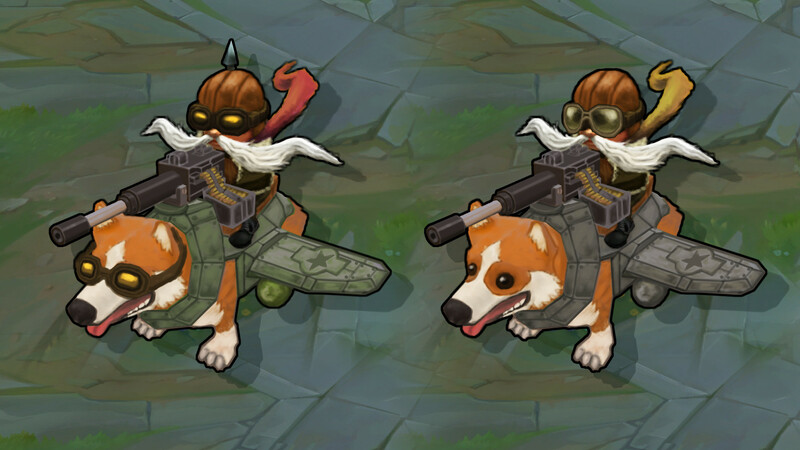 Undecided if I should go with goggles on the dog or not. Trying to get this texture done ASAP. Going to work on the fur next and if I have enough time, add a bit more detail and make adjustments. Alright, going to call it a night and submit this. Tried my best given the last minute situation.